Years ago women of my size were considered royalty. Waiting, waiting, waiting. All my life, I’ve been waiting for my life to begin, as if somehow my life was ahead of me, and that someday I would arrive at it. The character I play is a wonderful compilation of things I hate about myself and things I love about myself and things that I’ve invented to make her even more interesting than me. So to me, fat just seems to be right to the point and the most descriptive way to say it. So instead of beating myself up for being fat, I think it’s a miracle that I laugh every day and walk through my life with pride, because our culture is unrelenting when it comes to large people. People in this country haven’t stopped hating fat people, but they’ve become more kind to me, since in our culture, even though we hate our fat people, we love our celebrities even more. On The Practice, I get to do what I love to do, and I am making a contribution that will, in the end, help raise social consciousness, dispel some of the myths about being large, and change the way that people view and interact with large people. Nobody else knew what to do with me because big women are old. My parents have always been offended by my weight, embarrassed maybe. It didn’t fit with their sensibilities. It’s okay to be a fat man. It’s prestige and power and all of that. But fat women are seen as just lazy and stupid and having no self-control. It’s important to me that I look good on television because, let’s face it, I’m single, and you want somebody to watch the show and fall in love with you. It never occurred to me that I’d be on a television show or in feature films but when those came into play my dreams changed along the way. Isn’t it amazing how celebrity status preempts even the most ingrained hatreds? In my fantasies, I always wanted to play the ingenue, but in reality, in my bones, I am so used to playing the grandmother that I don’t feel safe or even sure that I can do it. 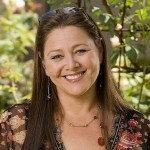 Camryn Manheim is an American actress known primarily for her roles as attorney Ellenor Frutt on ABC's The Practice, Delia Banks on CBS's Ghost Whisperer and as Elvis's mother, Gladys Presley in the 2005 mini-series Elvis.